We have lived in our house for almost exactly a year. The first night we tried moving in was a nightmare. We had just gotten Riley into bed in his new nursery and started getting our things organized and unpacked. I was walking down our hall on our new bamboo floors when they suddenly went from hard wood to squishy wood. I stopped, looked down at my feet, and saw that the wood had curled up at the edges. After some investigating, we found that the washing machine had been leaking for about a week. All the water collected under the wood floor and it was pretty well destroyed. After months of waiting for the house to be finished, we packed out things and moved back to my in-laws house for another week until things were back in order. I definitely needed a cocktail after that. When we were able to finally move in, it took some time to feel settled. Actually, we are still working on that. There are still boxes in the garage that need to be unpacked. We haven’t mastered our organizational skills (do those even exist with a toddler in the house?) and we are still discovering new things to do in our neighborhood. We may not be “Old Pals” with our house yet, but we are getting there. Enjoying perfectly crafted cocktails with friends on the patio certainly helps move the process along. 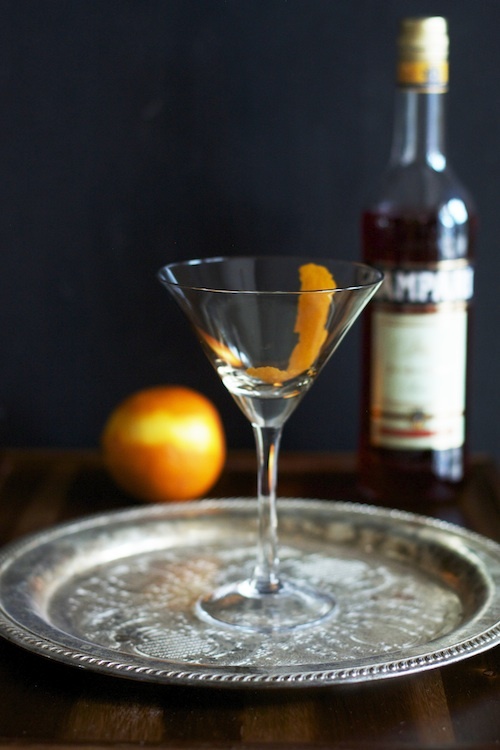 The recipe for this Old Pal cocktail comes from one of my favorite books: The Art of the Bar. 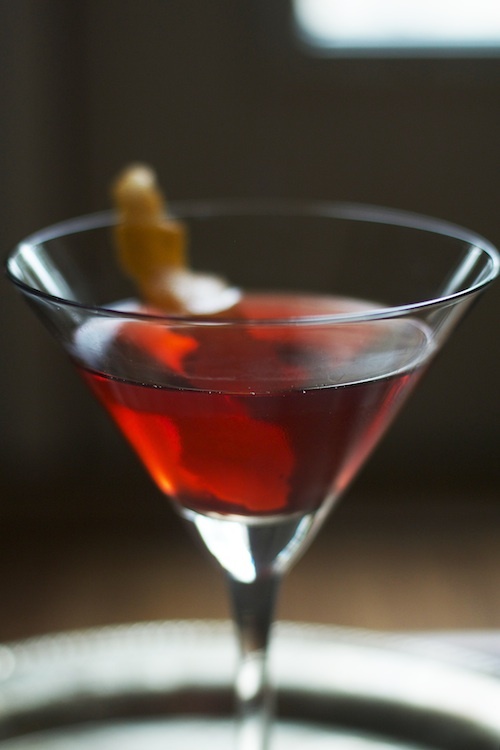 No matter what the occasion, I can always find a perfect cocktail recipe that I know will taste fantastic. Here, bitter red Campari is combined with whiskey (the recipe calls for Canadian but I used a Kentucky bourbon), dry vermouth, and a twist of orange. It is beautifully balanced and perfectly elegant. 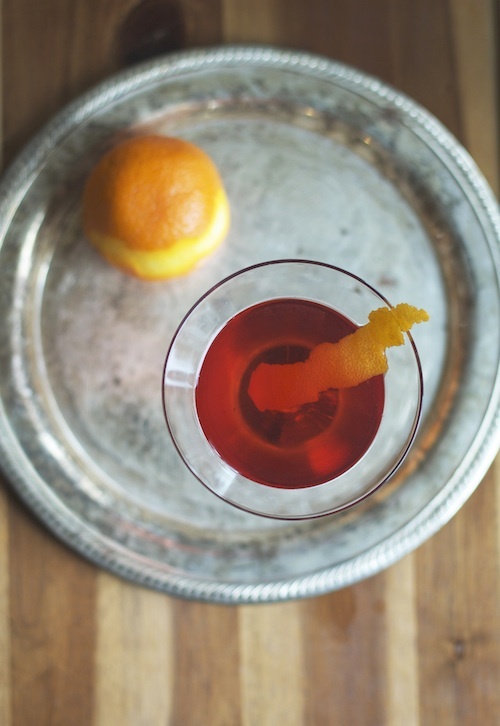 If you aren’t used to the flavor of Campari this is a great way to introduce it into your repertoire.